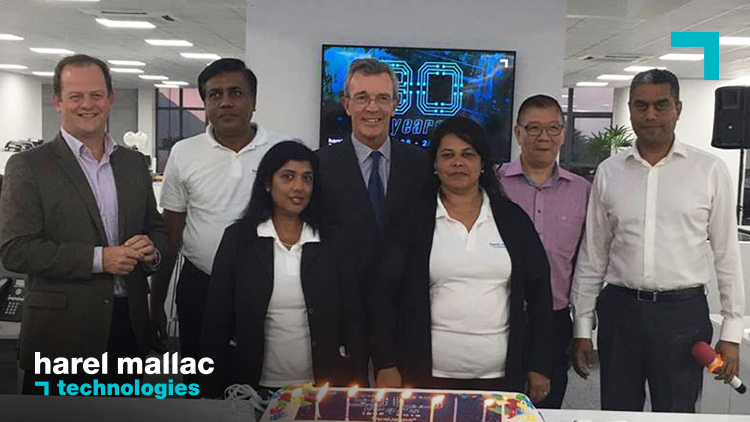 Harel Mallac Technologies has reached an important milestone on August 25th this year by celebrating its 30 years of existence in the ICT Industry. The story of the technology and innovation driven organisation all started in 1988 with the vision of Mr. Antoine L. Harel, current chairman of the Group, and the company has today become the leading ICT integrator on the island with offices Rwanda, Burundi and Madagascar and a network of partners in other African territories. Having grown to a 200+ team, the business’ success has been built on strong business fundamentals and values. With a customer-centric approach and dedicated focus on its people, Harel Mallac Technologies has continuously developed a culture of trust, professionalism, expertise, passion and a commitment to its stakeholders. Reflecting on the past three decades in business and what comes to mind are the milestones where we’ve played a significant role for our clients. As a technology leader, Harel Mallac Technologies enables technological innovation in medium and large organisations to help them grow and improve their operations. By doing so, Harel Mallac Technologies has positively contributed on the quality of life in the geographies in which it settled. Over and above its Infrastructure expertise and Business Automation Services, Harel Mallac Technologies secured and won major high profile projects locally and regionally based on its advanced technology integration capabilities which it developed and acquired through its decades of investment in R&D, Training and Development of its talents along with a continuous Technology and Industry watch. The breadth and depth of the company’s solutions and services portfolio allows it to cater for multi-segments and sectors of the market. In this era of digital transformation, artificial intelligence and internet of things, we provide to companies technology-enabled automation of business processes to help them achieve business efficiency and excellence and help them add value to their operations by delivering the best customer experience.